Momfessionals: Pumpkinville AND a Giveaway! Saturday morning we hit up Pumpkinville. A local pumpkin patch/Fall "experience" that MCA runs every year. It's a fundraiser for our Middle School and Fine Arts department and it gets better and better every year. I'm volunteering next weekend and LOVE it! There were places to be and hay mazes to tackle!!! Apparently we need to get a mini wheel barrel, because Mason and Griffin were LOVING it!!! This little "General Store" is the cutest thing ever!!! The design details were awesome and everything was seriously perfection. Several of my students were volunteering that morning and they helped us out with a family pic. LOVE!!! ... and Luke needed a turn carting around some mini pumpkins. So, on to important outfit details. Didn't you LURVE Griffin's dress and pants??? It was a pre-order from Appearel Tree and it was pumpkin patch PERFECTION!!! 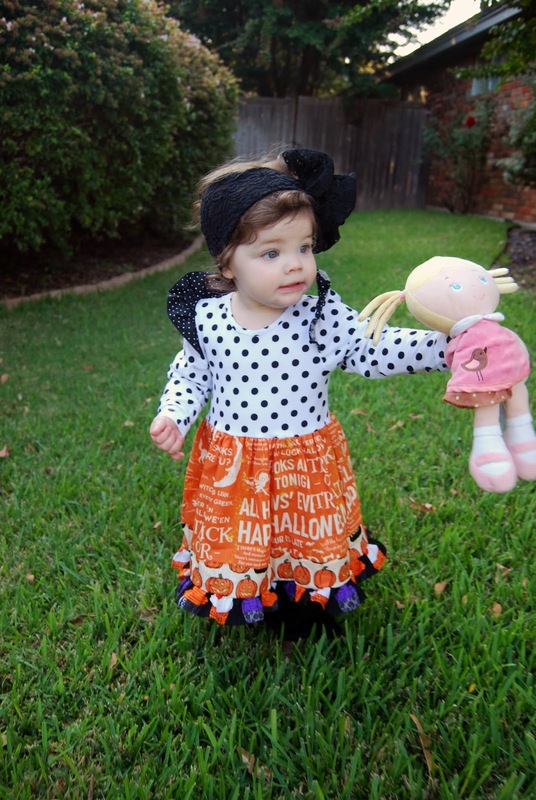 They designed two Halloween dresses this year and the one below (size 2T) I'm giving away!!! WHAT?!?!?! Yes, ma'am! This sassy Halloween number will go out to a lucky lady on Wednesday! Just in time to get in several wears this season. The giveaway is a short one so that the dress can get in the mail ASAP - I'll be picking a winner tomorrow night! Spread the word and keep your fingers crossed!!! Thank you so much to Appearel Tree for providing Griffin with the stinkin' cute dress she's wearing at the Pumpkin Patch as well as the dress I'm giving away (pants and headbands are our own). I love love love promoting and working with great businesses providing excellent products and sharing them with my readers! Pumpkin patch fun! Way too cute! Oh my goodness! Way too much fun and cuteness over load! Ahhhh! How fun!! I loved all of the pics but I think my very favorite was Mason lying in the deer corn. That pic cracked me up! Happy Monday girl!! I have a two year old that would look adorable in that dress! My little 2 year old would look fabulous in that dress! Fingers crossed!! ;)!!!!!! My daughter Charlotte is the same age as Griffin (although with less hair ;)). She would love to have that dress! I really enjoy your blog! Such adorable kids and very relatable. I'm a teacher too and can identify with so many of the same situations especially the stacks of grading! The Halloween dress would be precious on my 19 month old. Thanks for the opportunity! Love this my my little girl! I'd really love to win that divine little dress, and give it to my local children's hospital. I heard the other day that they are really full right now (which is awful) and that there are some foster kids in there, who don't have proper homes to come out to. Surely a sweet dress all of her own would make a little girl happy? I would LOVE to win this dress for my niece! It is fabulous! I love that little dress! My little girl who is about Griffin's age would look so cute in it. My daughter is 16 months and would look so cute in this! Love your blog! I think my little Q would look precious in it! Bless their hearts!!! No hay ride?!! Hahaha!! My daughter Brynn is only 10 months, but I could save it for next year! Super fun!! And my niece would look adorable in that dress!!! My daughter Maura would LOVE this dress!! Looks like you had tons of fun at the pumpkin patch!! In LOVE with Griffins Halloween/Fall wardrobe!!!! I've been wanting to try out appearel tree for my 2 yr old. This would be the perfect opportunity! So fun! Love the dress! My sweet lil niece would rock that adorable dress and my sister would flip out over it! Looks like a wonderful day! I would love to win the dress for my daughter! Would love to win this adorable dress for my dress loving 2 year old, Maddie! She would love it! So cute! I saw this on appearel tree and wish I had bought it!! And...I would love it for my baby girl! Almost 9 months old. Such cute pics of your kids! MCA always does such a great job with this patch! Will definitely be heading there sometime this week! So cute!! My girl would love this!!! This is adorable! As well as the pumpkin patch fun! Thank you so much for doing the giveaway! Looks like everyone had a blast!! I love doing stuff like this! Love that outfit! And great pictures of your kids! I love this! My daughter would fit perfectly in it right now. She has the blonde curls version of your daughters hair! Love! What a fun time!! I would love the dress, it would be so cute on my little one! So cute! After two boys I am excited to be dressing a little girl! Love the dress and your blog! I have been stalking it for the past month. I have been reading all your old posts. Such a cute family and love all your comments. Love seeing pictures of your little family and Griffin's outfits are THE best. I would love to win this dress for my daughter who turns two in November! She is the only girl with 3 older brothers, so love reading your blog as I totally relate to so much! G look adorable in her Halloween outfit!!! My sweet, little Kinley would love that dress. She's all about the ruffles and sass! Such a cute dress. My daughter would look so cute in it! So cute! Would love this dress for my granddaughter! Love Griffin's outfits! You all looked like you had a great time! 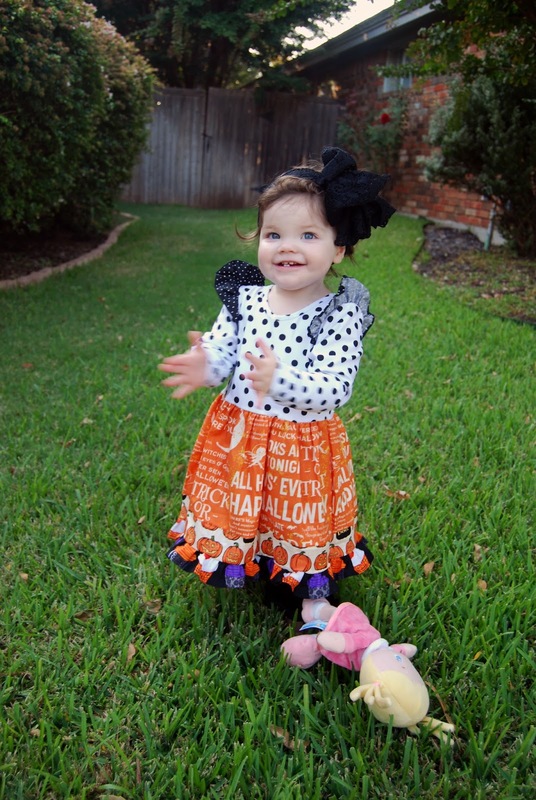 Your kiddos are so adorable and I Love this giveaway- what an absolutely adorable dress! So cute! Would love to win this dress for my daughter! We love AT. We would love this dress!! It's the perfect fall "twirling" ;) dress! Adorable giveaway!!!!!! Aw, that dress is adorable. One size too small for my daughter but it would fit my niece perfectly!! How cool is this "Pumpkinville"!! And of course, your kiddos were looking cute! Love this dress! I think I need to take my kiddos to that pumpkin patch! Such a cute outfit! My daughter Kennedy would love the dress! She is just a little younger then Griffin but can wear 2t! I would love this for my 2 yr old!! I would love this for my two yr old! I'd love this for my friends daughter! I'd love this for my daughter and to pass it to my niece next year. I'd love to win the dress for my sweet Grace....so stinkin cute!!! I would love to win this dress for my baby girl, Ava! By the way, I'm loving all of the pumpkin patch pics!!! Beautiful family! Fun day and adorable dress! I would love to win the dress for my baby girl, Ava! By the way, I'm loving the pumpkin patch pics!!! Beautiful family! The perfect "patch" dress for my daughter. Loved the family fun post and for keeping it real! Perfect for my daughter! Thanks for hosting such a fun giveaway! That appletree dress is super adorbs!!! Such a cute dress! I hope I win! I would love to win this dress for my daughter Finley!! So cute! I have two little girls who would look darling in this! I'd love to see my little Brynn in that cutie outfit! That's one cute dress!! Thanks for the giveaway! My Amy would love this dress! That is the cutest dress!! We already have some ruffled pants to match from there! I wish we had cute pumpkin patch around my area like yours. Absolute perfection! and that dress O.M.G. !!! What a cute pumpkin patch.....love the general store! That is the cutest dress. Would love to win that for my daughter! Looks like a barrel of fun! Love her outfits and would love to win! That dress would be perfect for my little pumpkin! So cute! And love the dress too! I love this sweet dress for my little Grace!! Love the photos of your adorable kiddos...and the Halloween outfit would be adorable on my pumpkin that's the same age as Griffin! 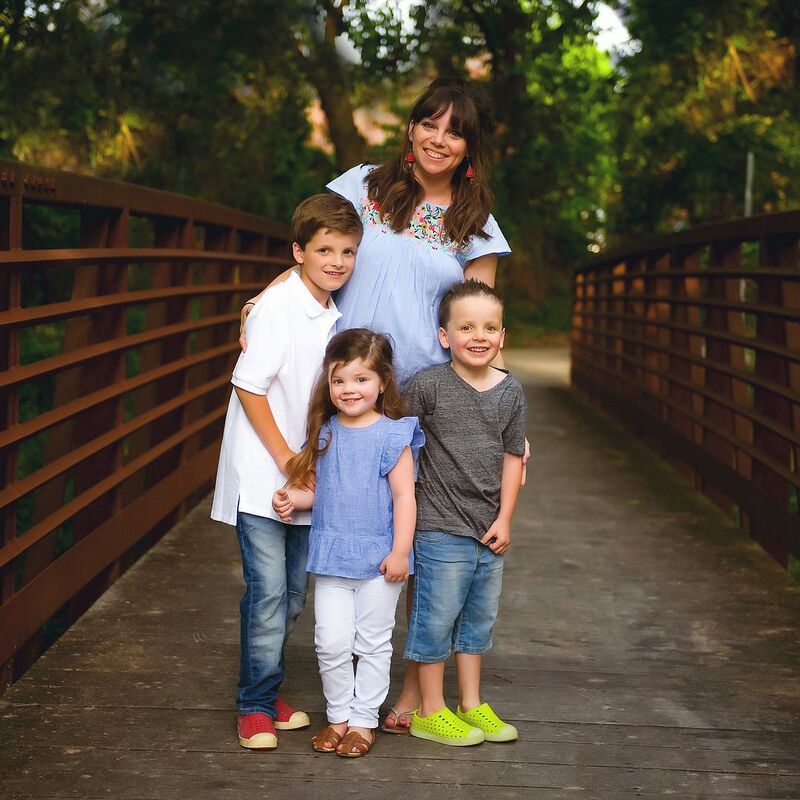 I love love love all the pictures of your kiddos at the pumpkin patch! I think my favorite was their grumpy faces from not getting to do the hayride! Haha. I would love to win the dress for my sassy 4 year old, Kaylee. Hope you have a good week! I love the rolling around in the corn pictures! So fun! This dress is adorable! Such a cute dress - I have two little nieces who would look adoarble in it! My daughter is a size 2t and turns two tomorrow! Adorable dress!! Always love your and griffins outfits! Such great style! Love that Halloween dress! An that baby girl too! What a sweet little family! Love pumpkin patches! We took a trip to the pumpkin patch this weekend too!! Fall is my favorite! This is a fantastic fundraiser idea and looks like your kiddos had a great time! 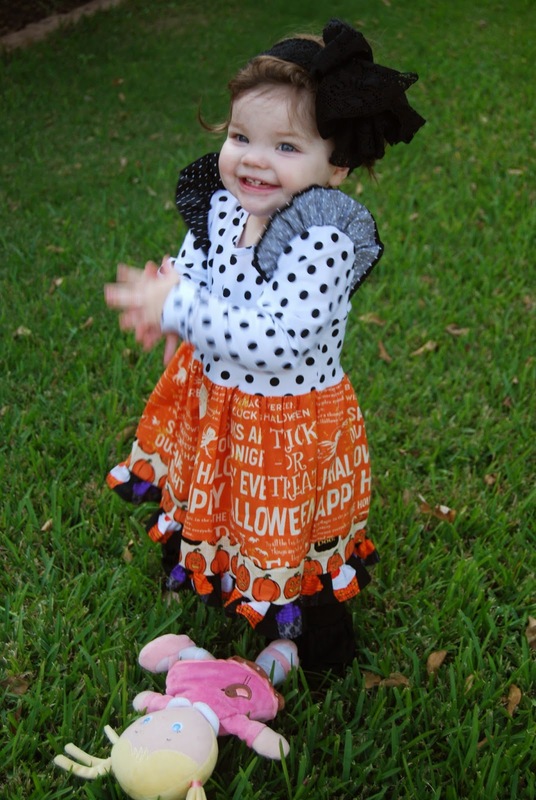 My niece would look adorable in that Halloween dress! My two year old would love twirling around in that festive dress! I would love this sassy dress for my little girl! Would love this dress for my sweet girl! I would LOVE this dress for my little Mary Jayne!!! Such a cute dress! May be too big for my girl this year but I think she could get plenty of wear in it next year! My little Harper will be born in January so this will be perfect tucked away for a few seasons for her. I would LOVE to win this for the little girl I babysit for. This dress would match Tessa's sassy little personality and cuteness perfectly! I would love to win this for my goddaughter Savannah! So sweet!! We love any reason to dress up around the holidays! Such a cute dress! We are expecting our first little one in February, and this would be perfect for next Halloween! Love the dress!! H needs some Halloween duds. Such cute dresses!!! Hop we can visit Pumpkinville.. Looks like fun! Awesome Giveaway! Fingers crossed..I have a few little ones in mind for this dress. Looks like you had a fantastic weekend. I need this dress for Adalyn! She may not get to wear it this year, but it will be perfect for next year! Looks like y'all had a great time at the pumpkin patch! My daughter, Olive, would look adorable in this outfit!! Don't you love when someone says, "do you want me to take a picture of your family?" That's music to a mom's ears! You guys are precious! looks like they had such a great time. She is just so adorable. I would love to win this dress for my little girl H.
My daughter Piper would be adorable in that dress! This is exactly the size my little girl is! Thanks for hosting this give away! Cute, cute! Thanks for the chance to win! My daughter would look adorable in this dress! Such a cute dress! ! My little 2 year old daughter would look adorable in that just like GG! I have 2 boys and now a beautiful baby girl...would LOVE this outfit for her! Love your blog and all of your creativity! I'd love to win this for my youngest. She gets mostly hand me downs and this is too cute. I would live to win the outfit for my 2 year old daughter, Addison! Such a fun dress! Love it!